Adore Crystal are quarterly coloured contact lenses by Eyemed Technologies. This exclusive collection inspired by crystal will give your eyes a unique colour and shine. The exclusive NCIS system (Natural Colour Integration System) allows for a natural colour change and improves comfort of wear. 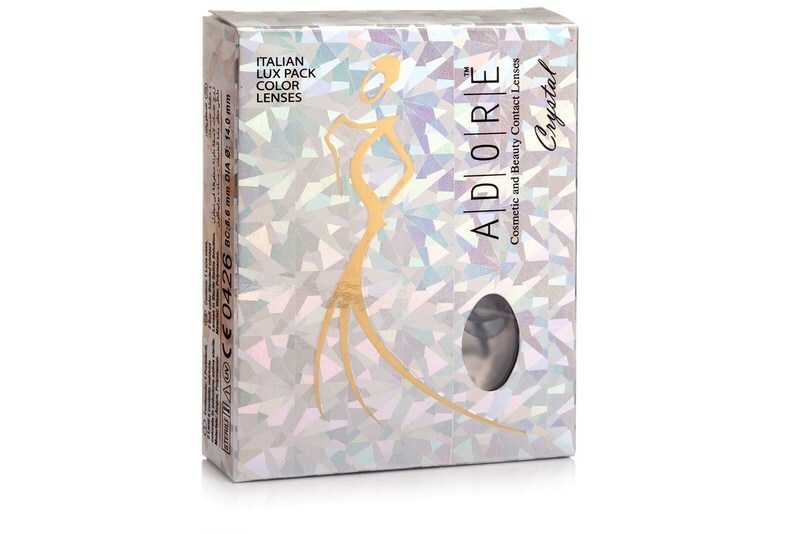 High water content makes the Adore contact lenses very comfortable for everyday use. The final colour result is however partly influenced by the natural pigmentation of the iris and current light conditions. You could get a case with your bonus points. These contact lenses are not dioptric and this is why you cannot fill in your power.